If you have four roommates, each of them should be listed on the lease as a tenant. 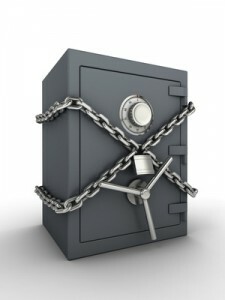 The security deposit is placed in an account in lump sum and held there until the end of the lease. It usually is not accounted for separately for each roommate. When it is returned, it is usually one payment jointly in the names of each of the tenants on the lease. Even if you have consent of all four tenants to divvy up the deposit in separate payments, you should stick to the rules for roommates and not vary your policies from one case to the next. It’s risky to waive that policy for a couple of reasons. First, you may not know for certain what the arrangements are between the roommates. One may have paid the other’s deposit, or may have borrowed money from the other, for instance. If you hand over the money to an individual roommate, the others may hold you accountable for whatever deal they had between them. Also, consider the problems you will have if you need to make a deduction from the security deposit to cover damage to the rental property. By law, you must give an accounting to the tenants of the charges you are withholding and return the undisputed amount. If you are returning the deposit separately, or treating it as several separate deposits, you are opening yourself up to a challenge that the damage was caused by one individual roommate, and the others should receive their full portion back. You encounter a similar problem if you allow one of the roommates to move out and return some portion of the security deposit separately. In that case, you may lose the right to go after that tenant for unpaid rent and damages that you discover later, after everyone moves. That can impact your ability to deduct damages from the deposit for the remaining roommates. The best practice is to treat the roommates as one person, stick to the rules and leave it up to them to decide how they choose to share their rights and responsibilities under the lease. I have 4 roommates that moved out and have miss agreements between them. I’m planning to issue a cashier’s check with four names on it, but what would be the right way to give them the check, if they have miss-agreements? If gave a check to one of them is this bullet proof deal if other will challenge in a court for some reason? Previous post: An Easier Way to Deal With Problem Tenants?